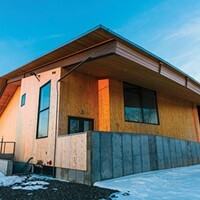 Aaron M. Marquise grew up in the Saratoga County village of Round Lake as the class clown: full of energy, silly, and often getting into trouble. "I didn't think there was something I could do where I could get all of that energy out and make a living out of it," he says. That is, before he discovered the Capital Region's Circus Theatricks in high school, where he dove into the art of real-life clowning. And then, while studying musical theater and playwriting at Marymount Manhattan, he stumbled upon the École Nationale de Cirque, or the National Circus School, in Montreal, where he could actually major in clowning. So he did what any clown-to-be would: left school and the city, spending months toning his physique into tip-top circus shape, honing in on flexibility, strength, and movement. "And I magically got accepted into this secret world," he says. Four years and a clowning degree later, Marquise began performing in Quebec and touring through Switzerland with Circus Monti, with plans to become a full-time performer. It wasn't until he found the Gasholder—a massive, 19th-century circular abandoned building tucked away in the south end of Troy—that he toyed with the idea of his own circus production company. "That's a circus building," he says, noting how its shape perfectly mimics the ring of the typical French-styled circus. "I want to put Troy on the map as the circus center of this area." Transforming the Gasholder as a true circus venue is still a process, but Marquise Productions, established just last year, is now fully formed, setting out to create, present, and produce circus work from a local to international scale. But we're not talking about American, Ringling Bros. arena-packed circus culture. Marquise is promoting the smaller, contemporary French-styled circus, where you're so close you can see the performers sweat. Everything will be a bit more mysterious, avant-garde, and theater based. 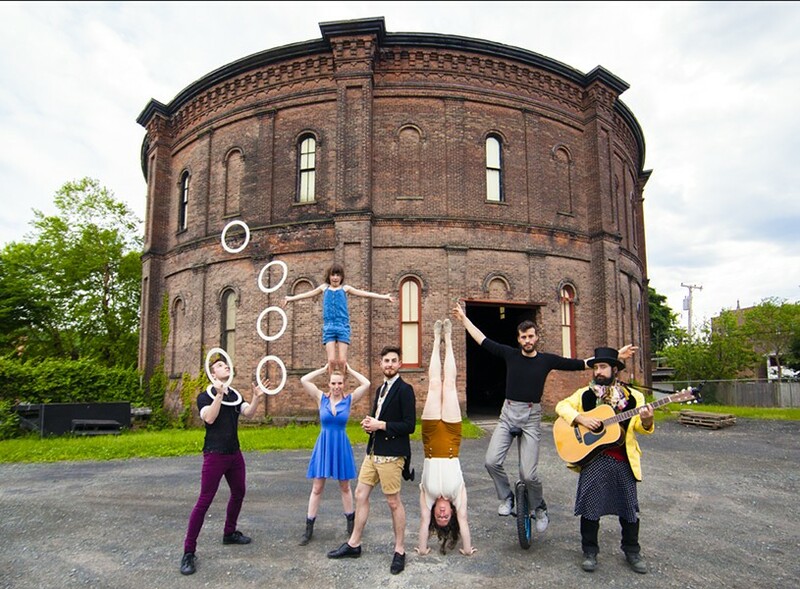 After a successful trial show at Chatham's Performance Spaces for the 21st Century (PS21) last summer with a Montreal-based circus troupe, Marquise Productions will hold a six-week residency at PS21, culminating in a performance on June 25. "When we had them come last year, we were enchanted by their performance and thought they used the site beautifully," says PS21 Board President/Founder Judy Grunberg. "They're not your usual circus, and we like to do things out of the box." As director and producer, Marquise, along with an eclectic and versatile group of seven performers, will develop an entire work from scratch in just a little over two weeks. Family-friendly, though not with a family-driven feeling, "YOL," meaning "way" or "road" in Turkish, will tell the imaginative story of a girl's self-discovery and journey into the afterlife, and the wondrous adventure it leads her on. "It's funny because beyond that starting image, I don't know what we're getting into," Marquise says. "I don't know what it's going to look like, with the exception of knowing what the artists can do. There will be handstands, juggling, and unicycles, but the rest of the show's creation will happen onsite." Troy-based musician and composer Kristoph "Ragliacci" DiMaria, who is also trained in the holistic and visionary Pochinko method of clowning, will add acoustic-styled music to the set, evoking traditional Turkish drumming and ambient ethereal noises. "There's a lot of talk about how circus is having its own Renaissance. I want to sort of change the American mindset of the word 'circus,'" Marquise says. "I want them to see this show and go, 'Oh, that's circus. I'd like to see more stuff like that.'" "YOL" will hop on a minitour in June for matinees and evening shows, first hitting the Gasholder June 10 to 12, Saratoga Springs' National Museum of Dance June 17, and Round Lake Auditorium on June 18. A final performance will be at PS21 Chatham on Saturday, June 25 at 7:30pm. $20 general/ $15 member/ $5 student. (518) 392-6121.